Kendra Scott at an MD Anderson event for pediatric cancer patients last fall. 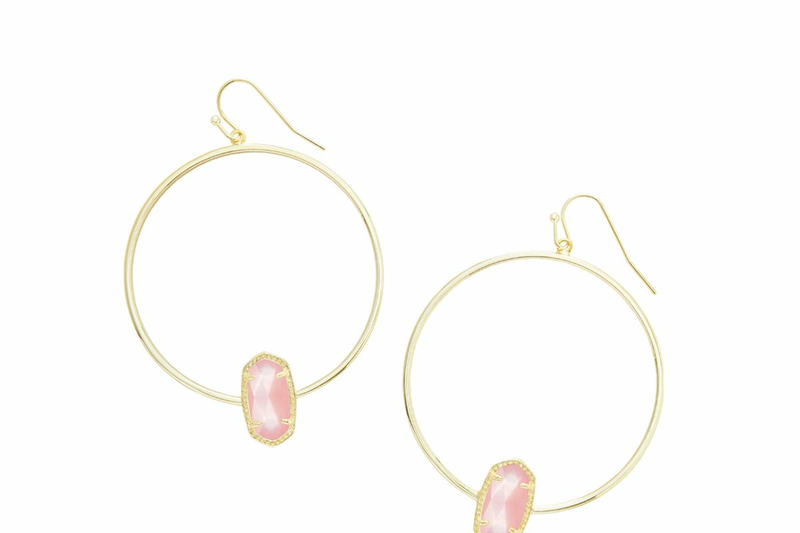 Kendra Scott loves MD Anderson. This is a well-established fact—the Austin-based CEO (and Klein High School alumna) and one of the country's richest self-made women, according to Forbes, has a long and personal relationship with the cancer center that began when her stepfather was a patient there. Diagnosed with brain cancer, his prognosis was bleak—a few months, doctors thought. Then, he went to MD Anderson. "They really gave us the greatest gift, which was time," Scott tells Houstonia. "Seven years." 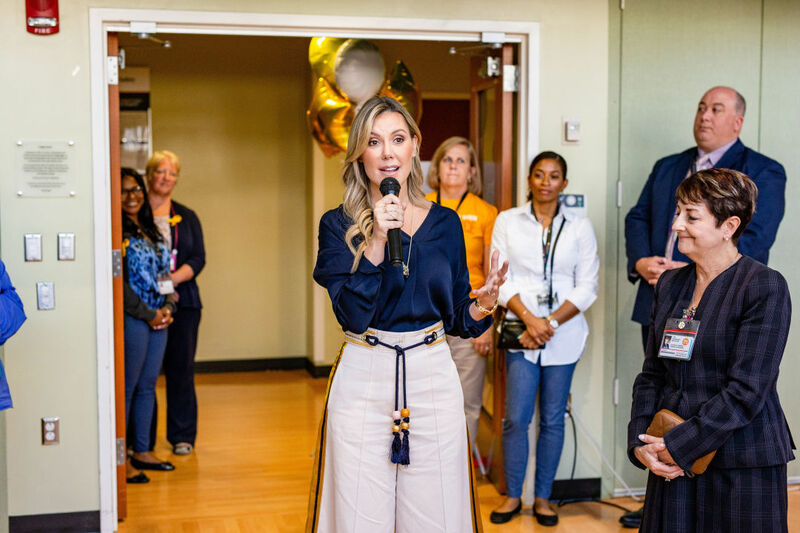 Ever since, she's been deeply grateful to the hospital that, in 2015, went on to help her launch Kendra Cares, the philanthropic arm of her jewelry company. She first brought her Color Bar to that pediatric center, hoping kids could take their minds off grueling cancer treatments at least momentarily by customizing a piece of jewelry for themselves, their moms, or a favorite caregiver. 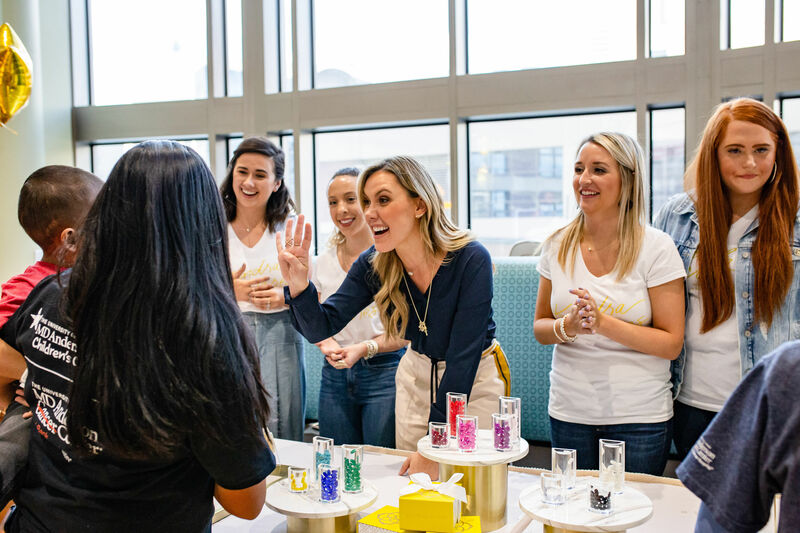 It was a success; today, Kendra Scott's Color Bar is in 30 hospitals around the country. 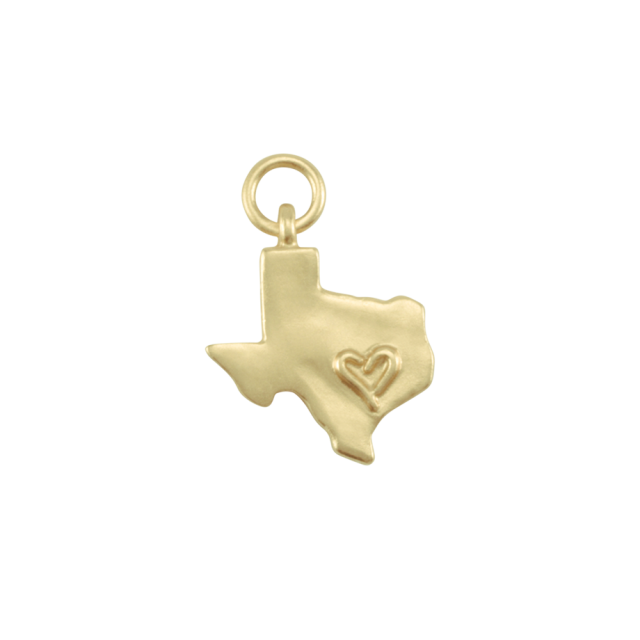 Scott and the Color Bar returned to the pediatric hospital last September, during Childhood Cancer Awareness Month, for a party and to launch her new charms collection, including one—a piece in the shape of Texas—that dedicates 50 percent of every sale to MD Anderson. Six months later, the Texas charm has funded a $50,000 grant to host a four-day wellness retreat for young adult MD Anderson patients faced with a cancer diagnosis. The hospital, known for its close relationships with patients, selected 30 participants who could most benefit from the inaugural program. On Friday, they'll head to a sprawling, peaceful ranch in Bastrop (where Scott has also hosted her own corporate retreats) for a long weekend of horseback riding, hiking, yoga, fireside chats, seminars on everything from fertility to career preparedness, and—of course—jewelry making with Scott herself. "MD Anderson came up with this program and this unbelievable idea to do this camp for them," Scott says. "We were just like, yes. We have to be involved." The retreat aims to reach a portion of the population often overlooked in pediatric programming—those 18 to 25. It was through her work with MD Anderson that Scott discovered pediatric care lasts into young adulthood. "A lot of people don't know that," she says. "There's a lot more catering to the younger pediatric patients ... that's when we wanted to come in and say, 'this is a great need. These people are diagnosed with something so serious. How can we give them additional support?'" She hopes the weekend will also foster a sense of kinship among the young patients burdened with a life-altering challenge on top of the already difficult task of simply growing up. "When you're going through such a devastating diagnosis as cancer, and then having to deal with all the side effects—there needs to be a lot of love and support around you, and it doesn't stop when you leave the hospital. It doesn't even stop when you're told you're in remission," Scott says. "I hope this weekend gives them the opportunity to be vulnerable and allow the people around them to really help them through this stage in their life. It's okay to lean on your friends and family when you need to." If all goes well, it's possible MD Anderson could once again be the incubator for another Kendra Cares program, though Scott hopes to grow the retreat here before committing to take it on the road. "It's the Texas thing—you go big or you go home," she laughs. "MD Anderson, they're the best in the world, in my opinion. If we get it right with the best in the world, we should absolutely be able to take these programs and grow them. We're hopeful that this could be the first of many." As Scott's company grow, so do her charitable aspirations: She recently pledged $250,000 toward a research grant for metastatic breast cancer. "Could we get to a point where metastatic breast cancer is manageable, and it's not a death sentence anymore? That's the goal," she says. "We kind of live by the mantra of, 'giving back is the true meaning of success.' We're able to make a big impact by also making beautiful things that people love. That's a really amazing combination." Did she ever think, 17 years ago, that her burgeoning jewelry brand could one day potentially help find a cure for cancer? "No, no, no! Of course not," she says. "I was just trying to pay my rent. But giving was always at the core. I never said 'no' to anybody who called me—if they needed something for an auction, whatever, it was always important to me. As we've been able to grow, we've been able to do more and more. Back then, I never would have believed we'd be able to do this." She's quick to credit her customers—"family," she calls them—as instrumental in making Kendra Cares programs a reality, from retreats to research grants. "It's not just that we did this—it's the state of Texas that's doing this," she says of the charm sales that funded this weekend's initiative. "When we join forces with people who care and have that kind of giving heart, amazing things can happen."